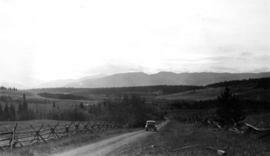 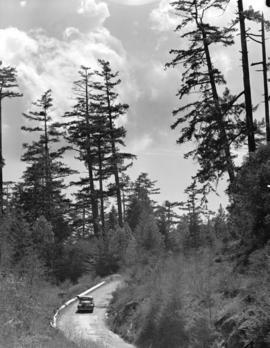 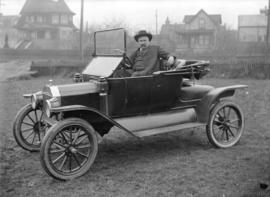 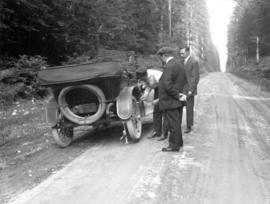 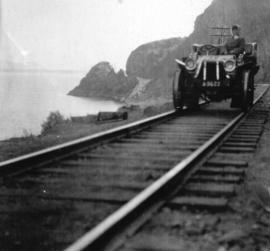 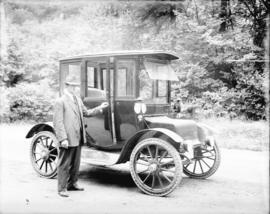 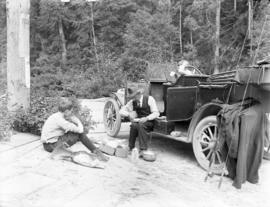 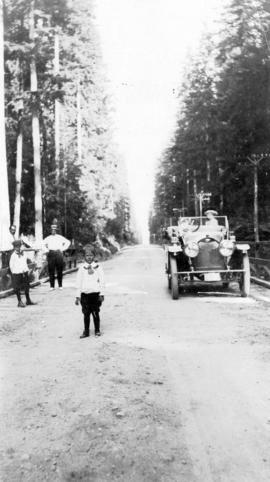 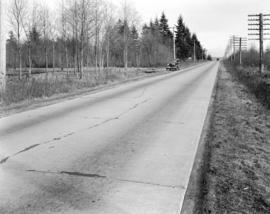 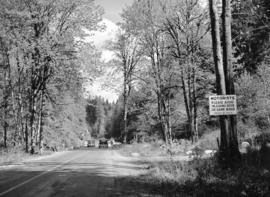 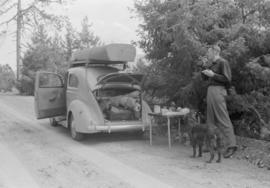 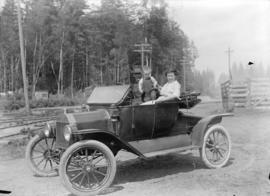 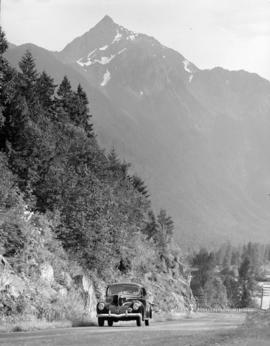 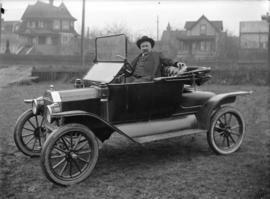 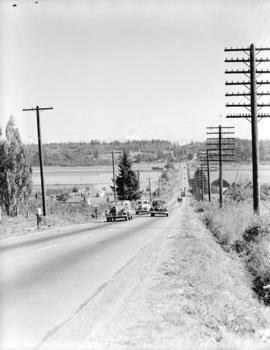 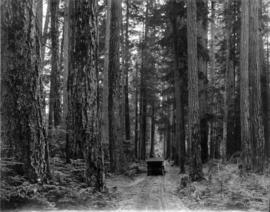 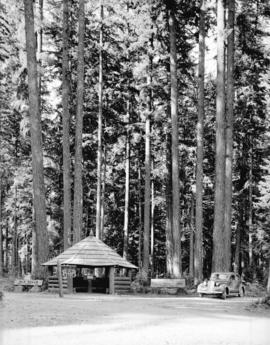 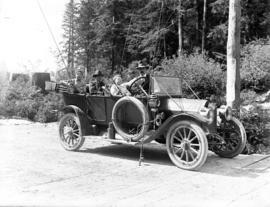 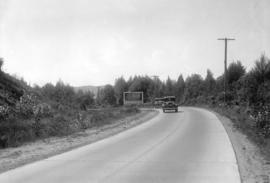 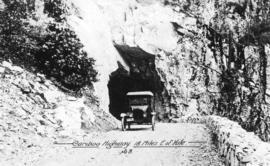 Car on Malahat Drive, Vancouver Island, B.C. 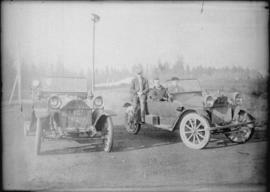 Photograph shows L.D. 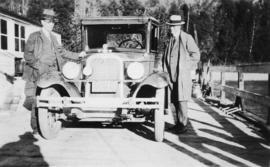 Taylor (right) and another man standing next to a car on a ferry. 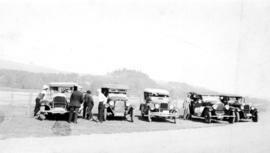 Photograph shows a Ruddy-Duker Company billboard advertising David Spencer Ltd. 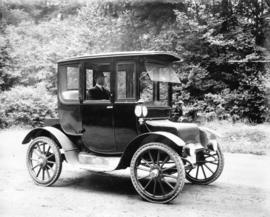 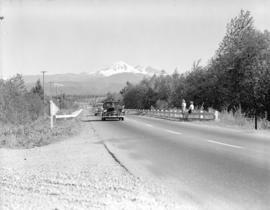 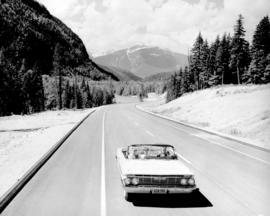 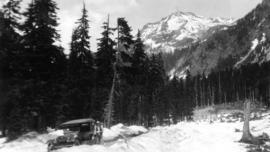 Item is a photograph showing an automobile in snow with a mountain in the background. 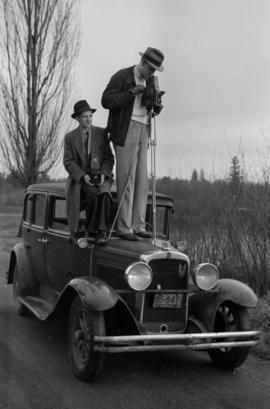 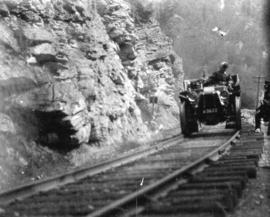 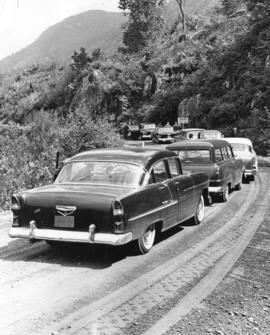 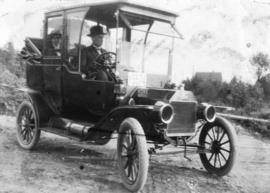 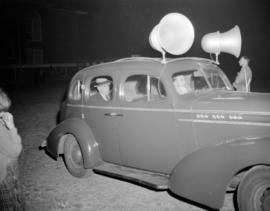 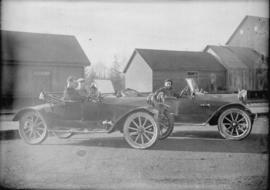 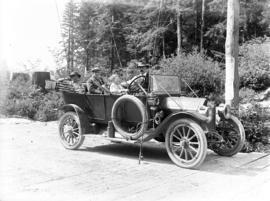 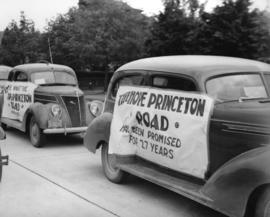 Photograph shows members of the convention in a Triangle Tours elongated Car and a tour guide with megaphone. 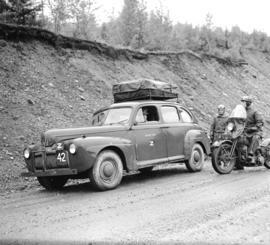 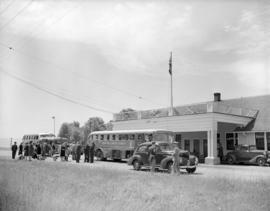 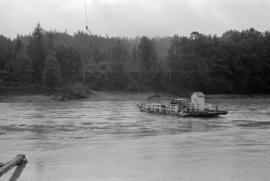 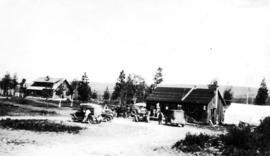 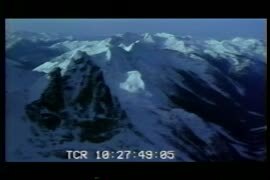 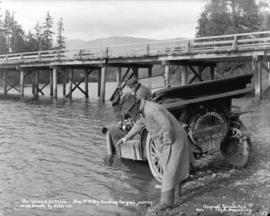 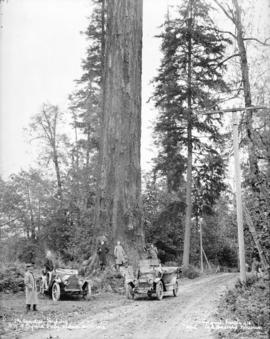 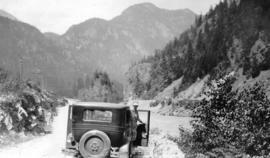 Photograph taken during Vancouver Board of Trade trip to the Cariboo and northern British Columbia. 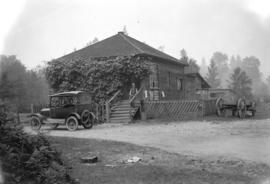 Public notices and advertisements for Coca Cola and Senator Tobacco posted on the side of the building. 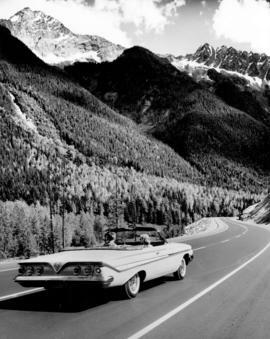 Front cover of album is embossed "L.D. 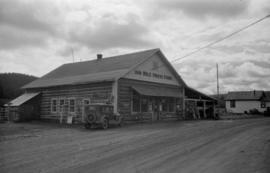 Taylor, Canadian Northern Railway System". 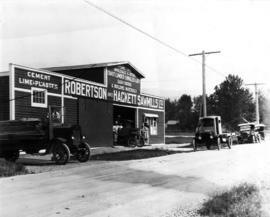 Photograph shows advertising on exterior of building stating: coast lumber, shingles, lath, sash doors, building materials, cement, lime and plaster.